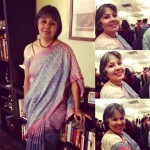 Number four, my ‘own’ saree, one of the first that I chose for my wedding. It always got frowns because it was too plain for a young bride. 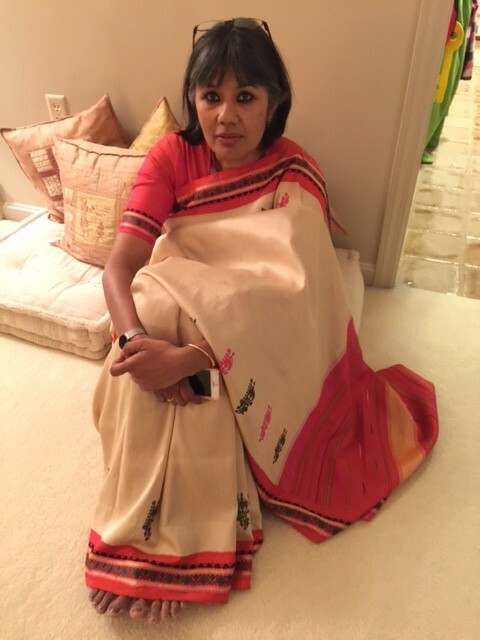 And later it got a lot of ‘Assam silk, right?’ It’s a Kanjeevaram and has that funky color combination of pink and orange thats all the rage now, back when it was unheard of. It’s simple yet spectacular and with my graying hair it’ll be with me for years yet!